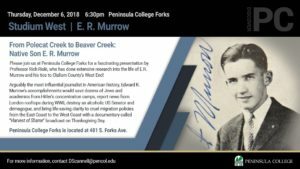 Professor of Journalism and historian, Rich Riski, will give a presentation about Egbert “Edward” R. Murrow and his ties to the West End at Peninsula College Forks on December 6th at 6:30 pm. Born in Polecat Creek, North Carolina, Egbert R. Murrow was the descendant of four Scottish prisoners and indentured servants who sailed to Boston aboard the British merchantman ship, the John and Sara. His Quaker parents, Roscoe and Ethel, crossed America on board the transcontinental railroad to Seattle in 1914, when Egbert, the youngest of their children, was just 6. Murrow spent his formative years in Skagit County near Blanchard until his parents were forced to move West …once again. 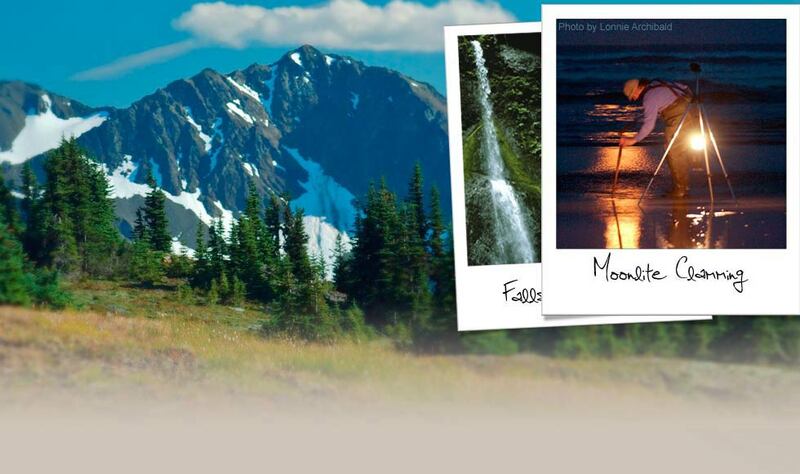 This time they landed in Beaver Creek on the Olympic Peninsula. The young compass man who mapped out land for Bloedell-Donovan soon became the Washington State College basketball player, award-winning debater, and thespian we know as Edward. After college graduation in 1930, he moved to New York City to begin his public career in international education and diplomacy. Five years later, he joined CBS Radio. Arguably the most influential journalist in American history, E.R. Murrow’s accomplishments would save dozens of Jews and academics from Hitler’s concentration camps, report news from London rooftops during WWII, destroy an alcoholic US Senator and demagogue, and bring life-saving clarity to cruel migration policies from the East Coast to the West Coast with a documentary called “Harvest of Shame” broadcast on …Thanksgiving Day. The community is invited to Professor Riski’s fascinating talk. Studium West is a free monthly lecture series at Peninsula College, 481 S. Forks Ave, featuring a variety of topics from the arts to history and culture.